Fluff & Tuff Leo Lion IS the king of animals, but don't tell your dog that! Who says cats and dogs' don't get along, pfft! Fluff & Tuff Leo Lion will RARRRRR (via a squeaker that doesn't actually RARRRR!) with delight when in play with your dog, he's up for anything! He loves nothing more than to be thrown around, chomped on, a bit of tug, he's weird like that. 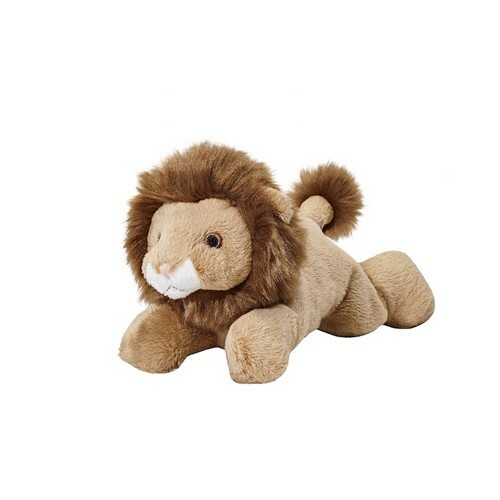 The Fluff & Tuff Leo Lion has double-stitched reinforced seams, sewn eyes, durable mesh inner lining for the under amour and a non-toxic fibre stuffing for your dog's enjoyment.